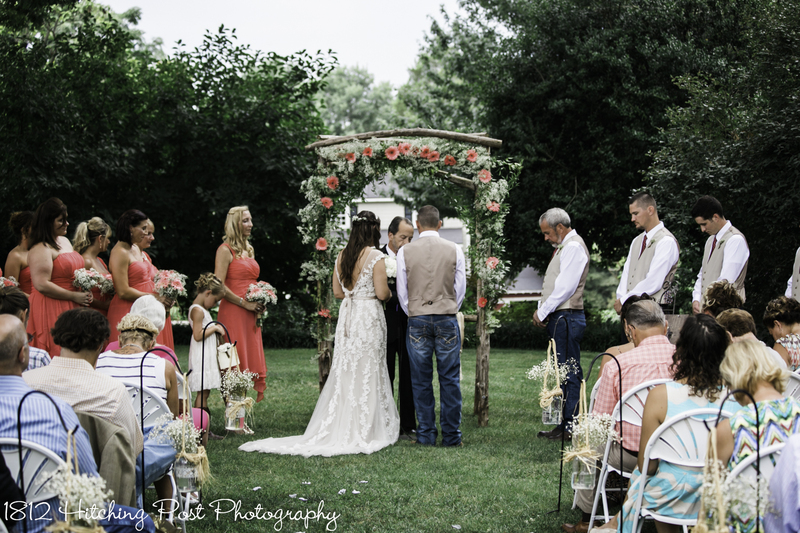 Alicia and Blake had close to 120 guests for their 6:30 ceremony at the end of July. 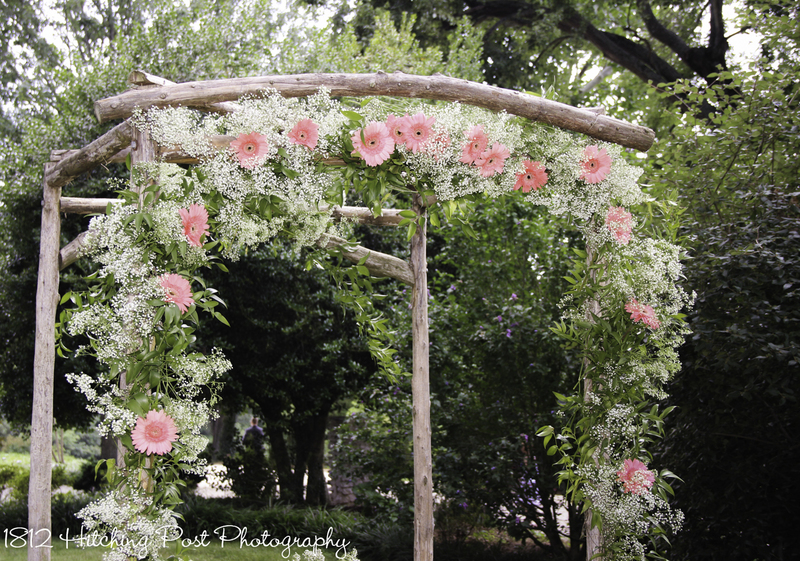 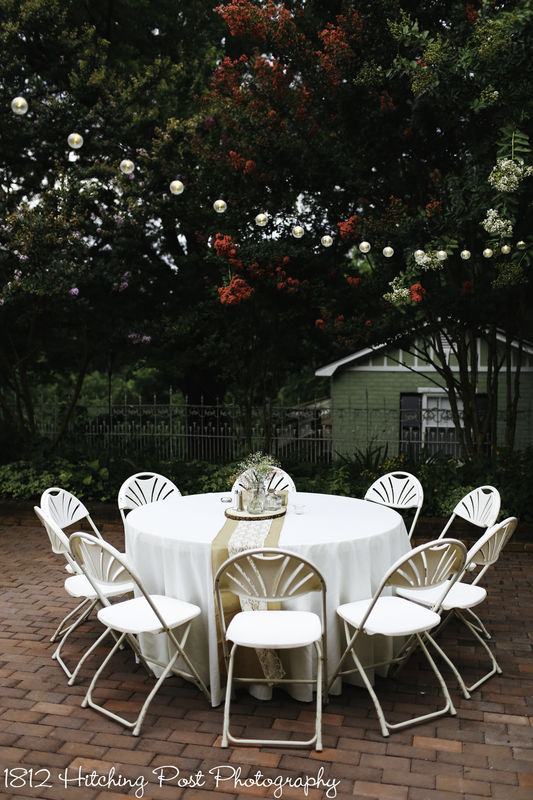 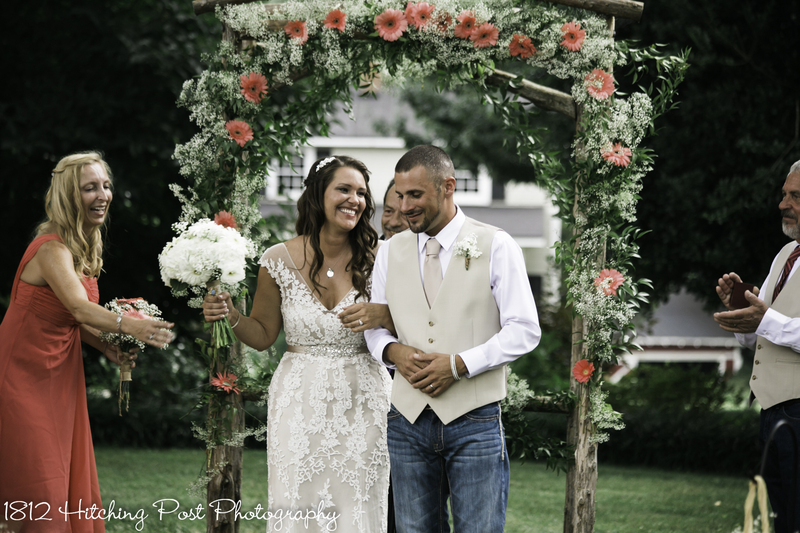 The arbor was gorgeous with babies breath and coral gerber daisies. 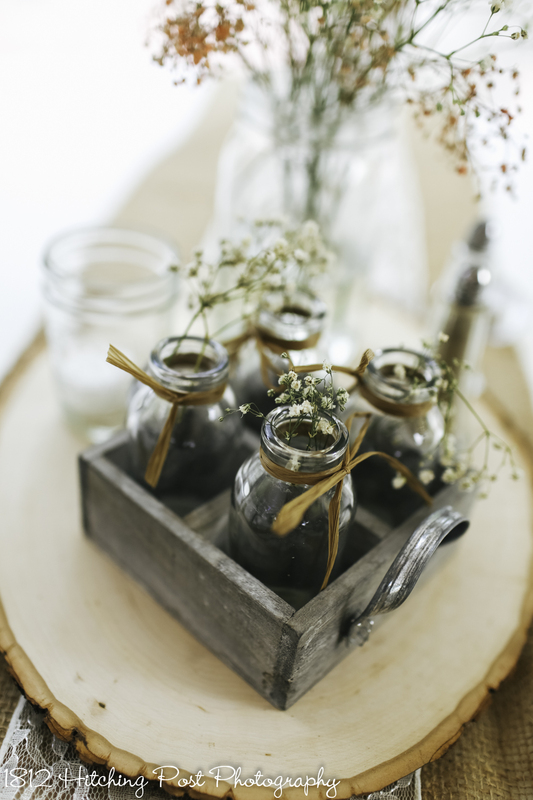 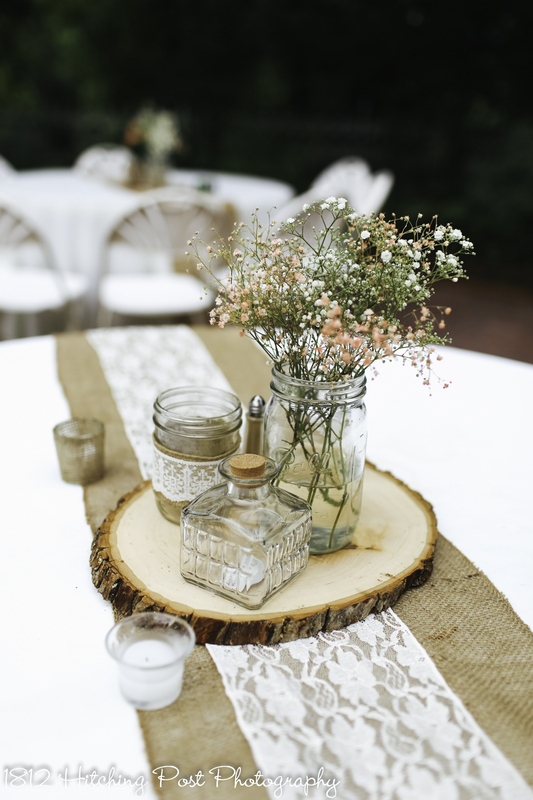 Mason jars lined the aisle with babies breath in coral and white. 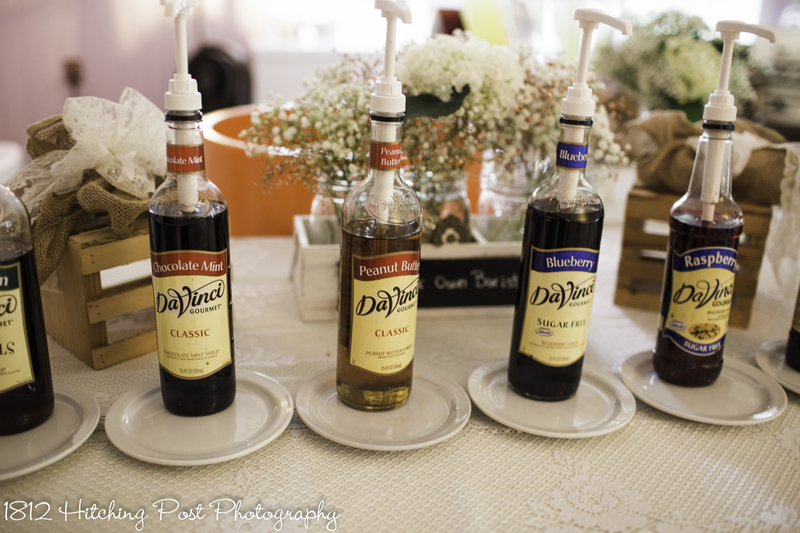 The couple did not serve alcohol at their wedding and chose to have fun syrups to add interest to their drink menu. 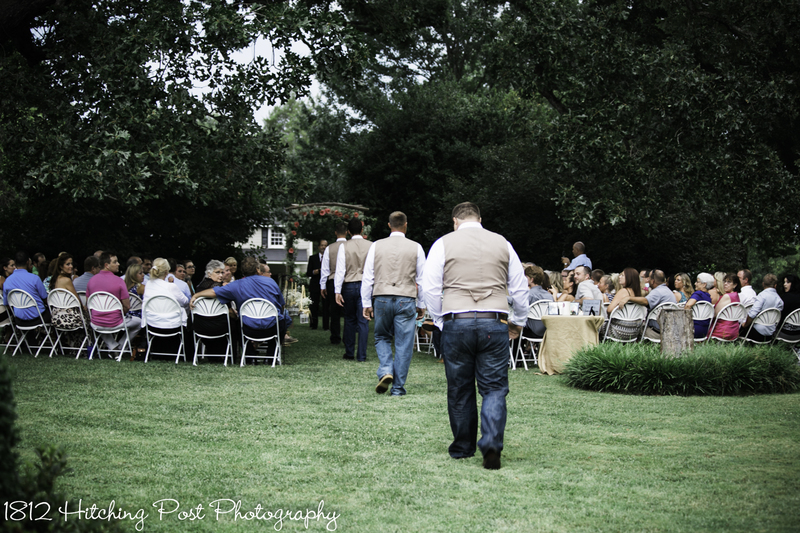 The BBQ pork menu went great with their country theme. 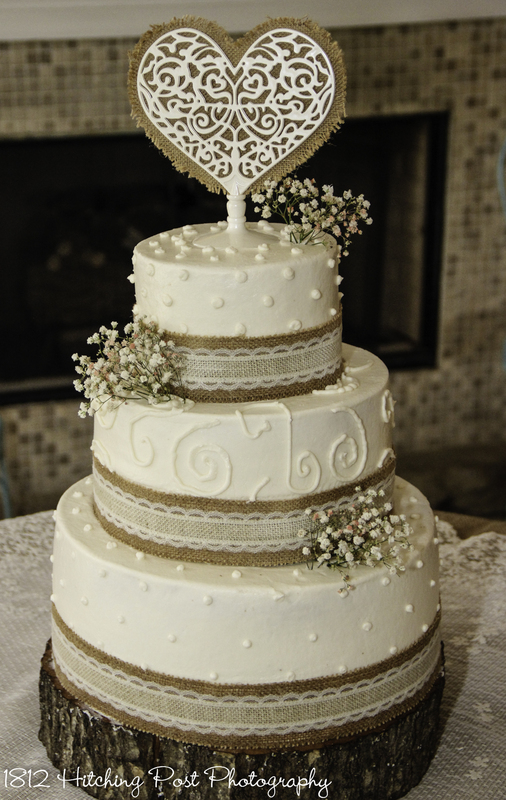 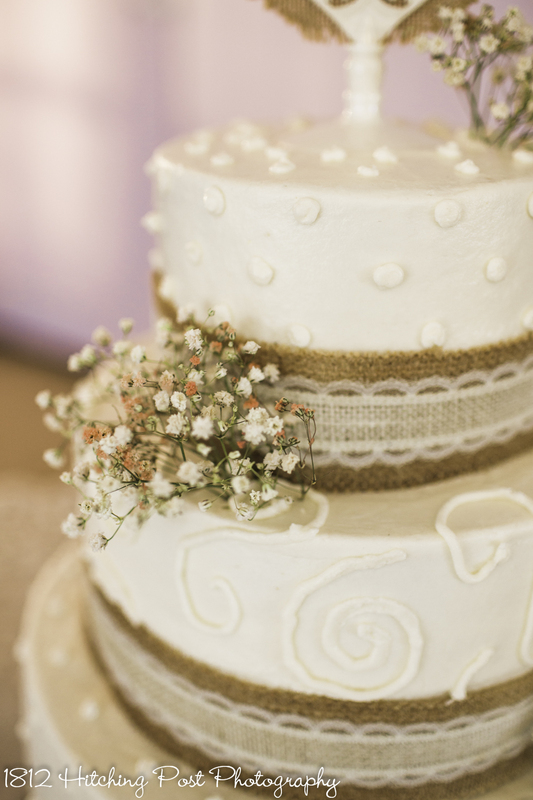 The cake was so sweet with burlap and lace trim. 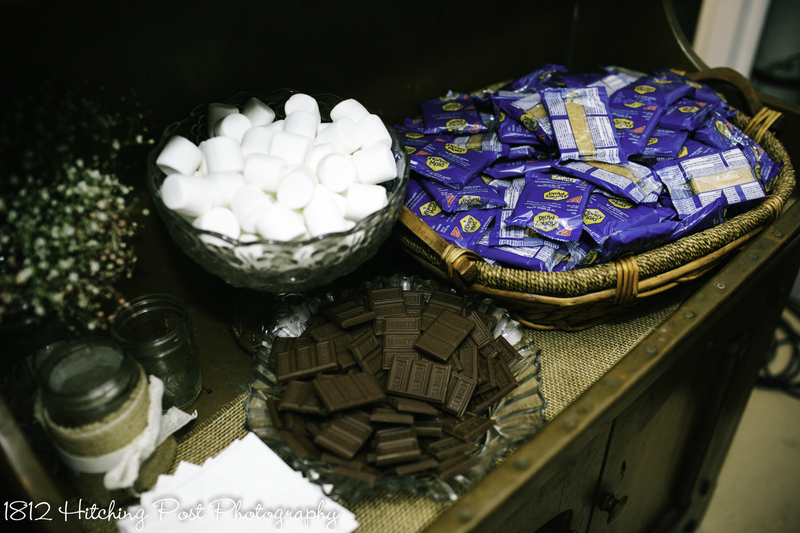 We had a S’mores bar with fire pit. 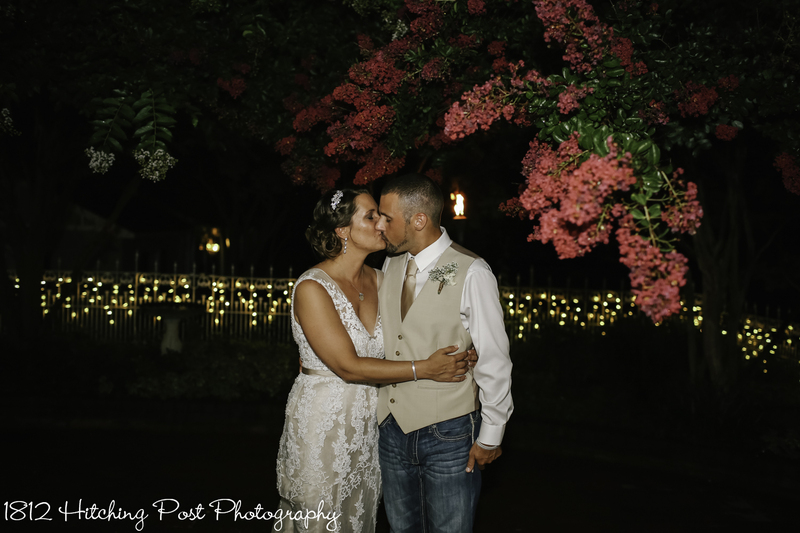 The myrtle trees were dripping with color; it was such a gorgeous evening. 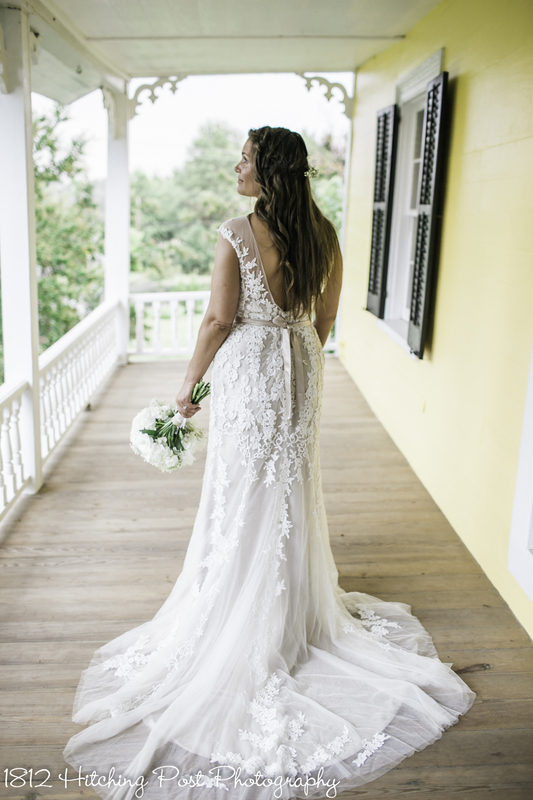 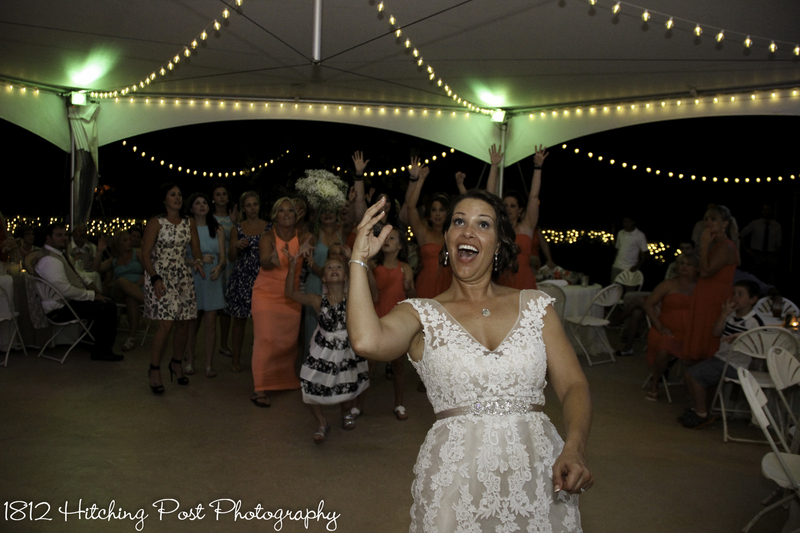 Alicia planned a dance with several men that were important to her in her life and her mother to “Dance With My Father Again.” Her father had passed just weeks before her wedding. 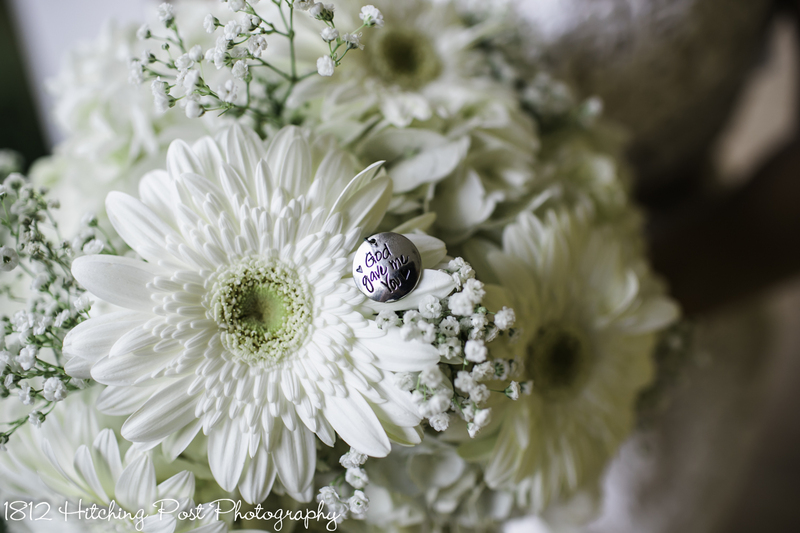 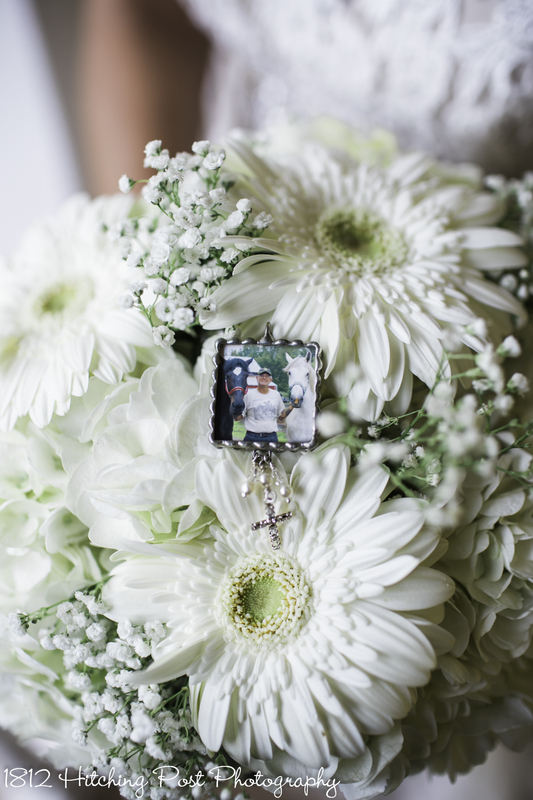 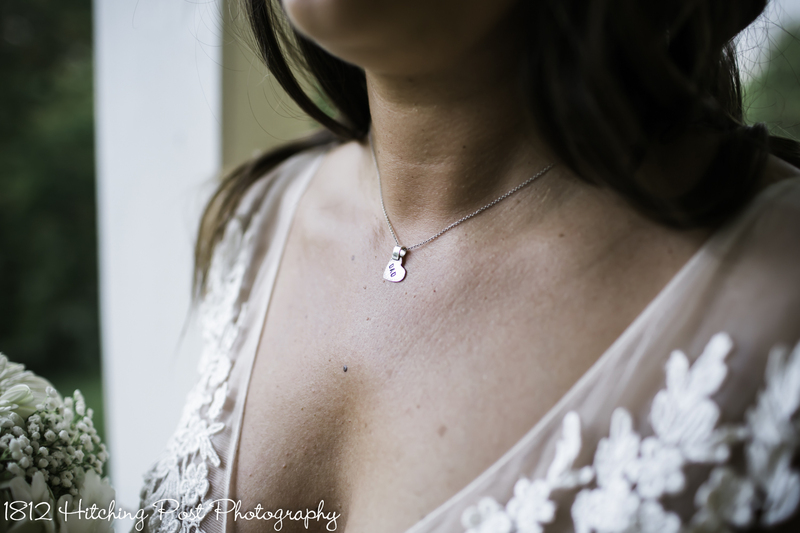 She wore a necklace that said “Dad” and had a memorial table and memory photo in her bouquet. 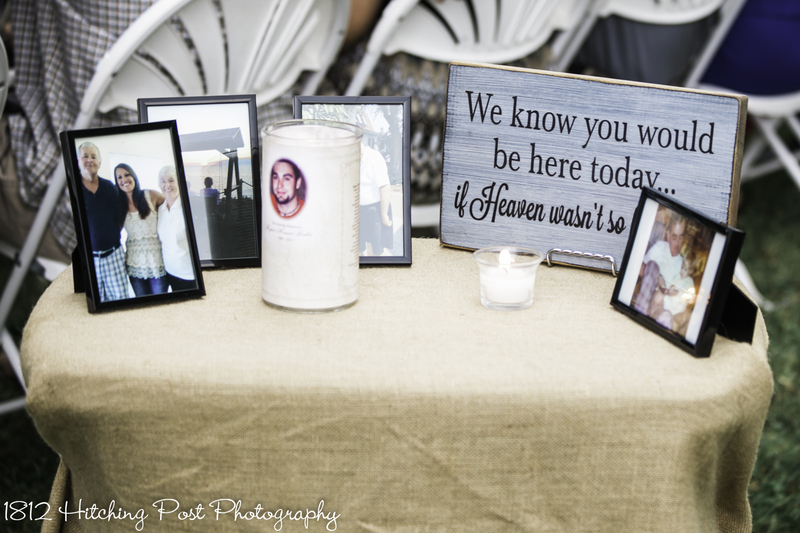 It was such a special way to include her father that day; we all felt the love. 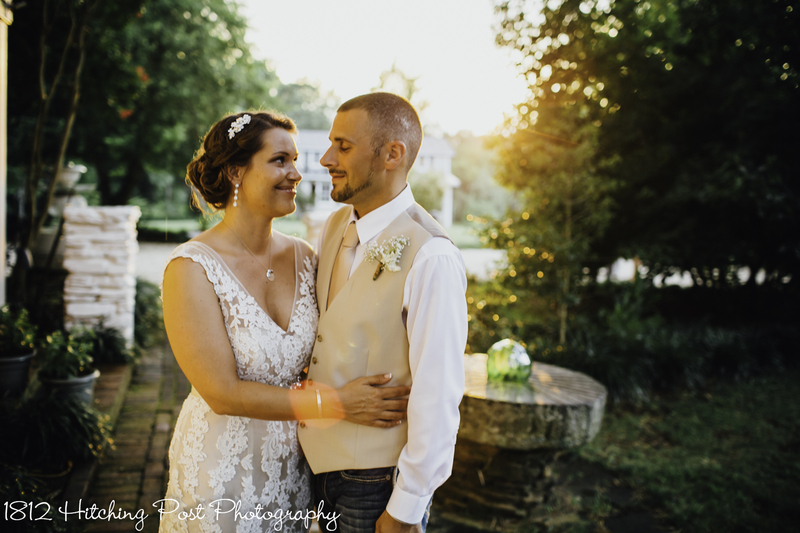 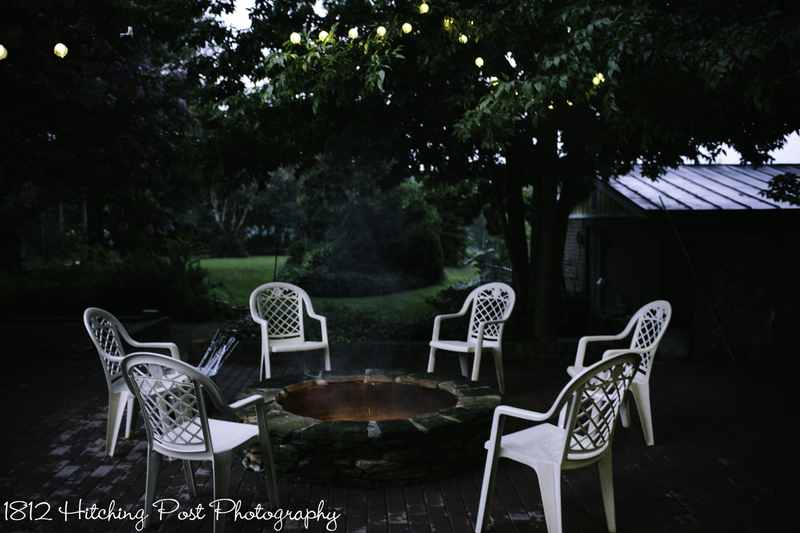 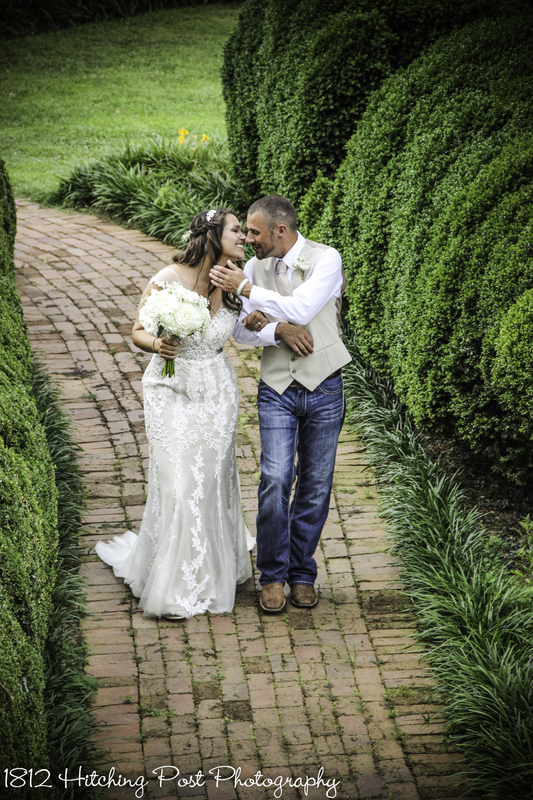 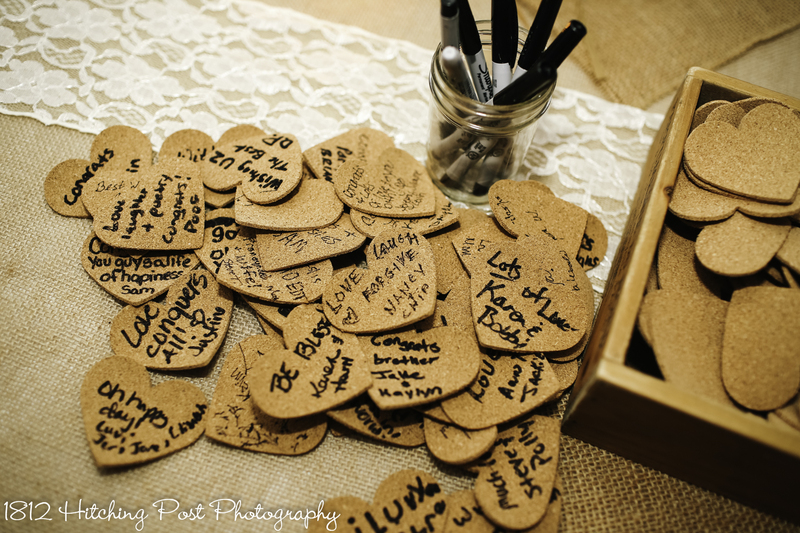 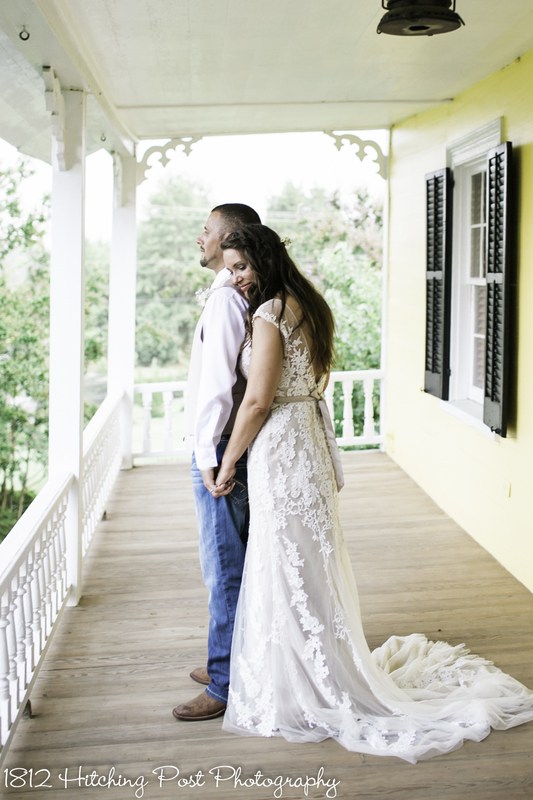 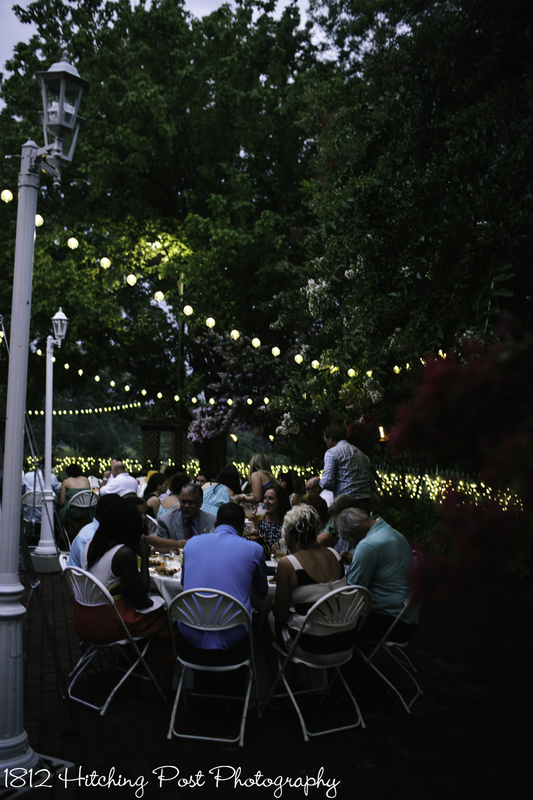 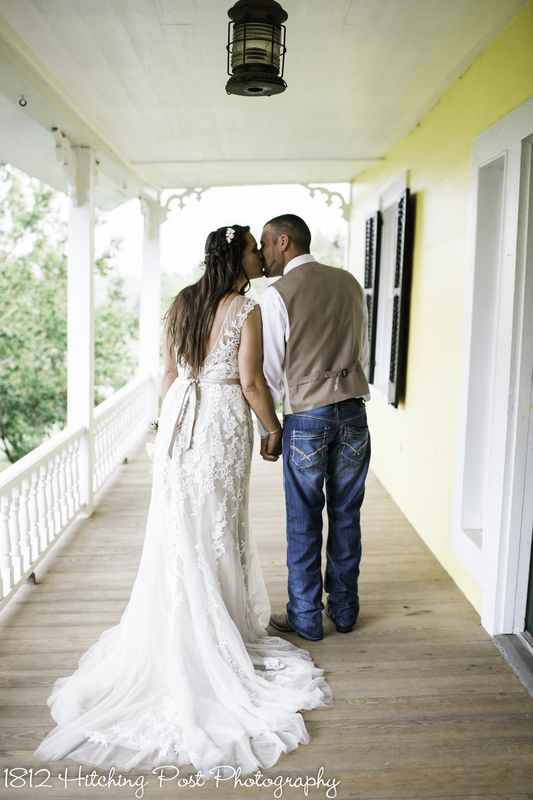 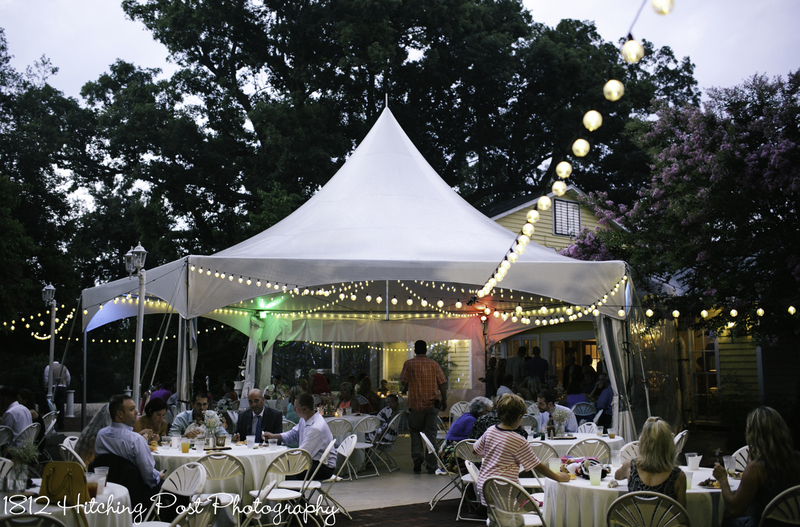 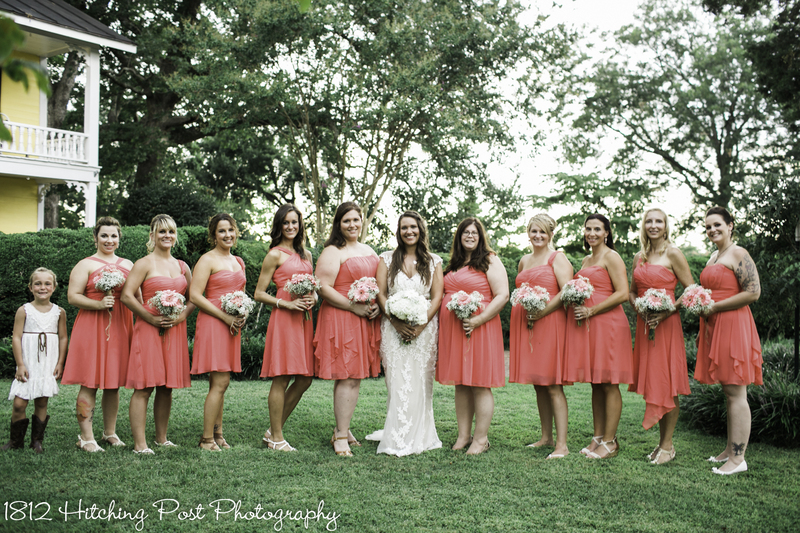 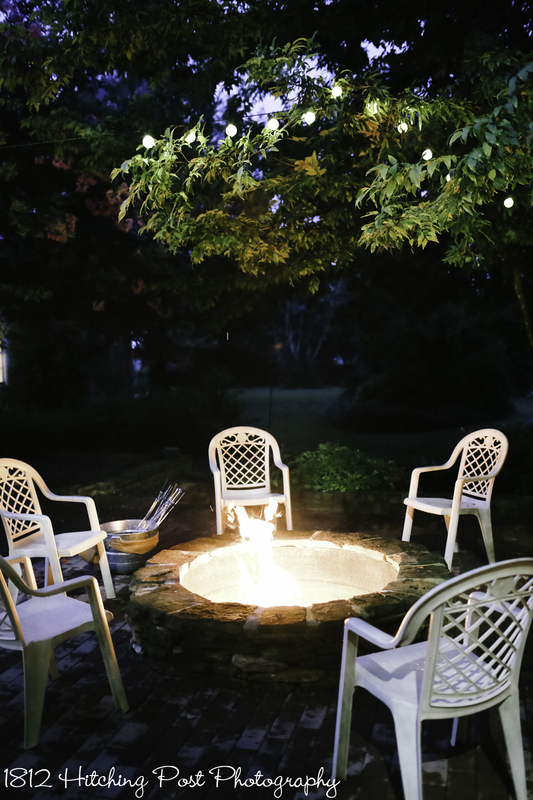 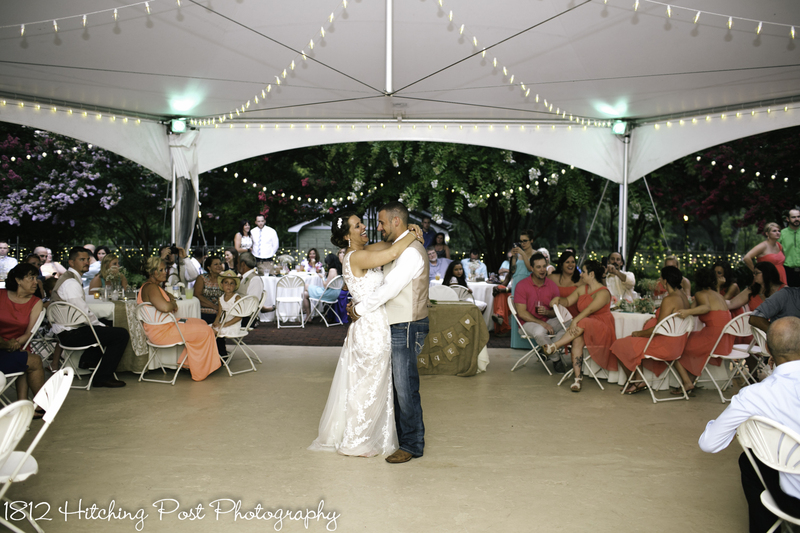 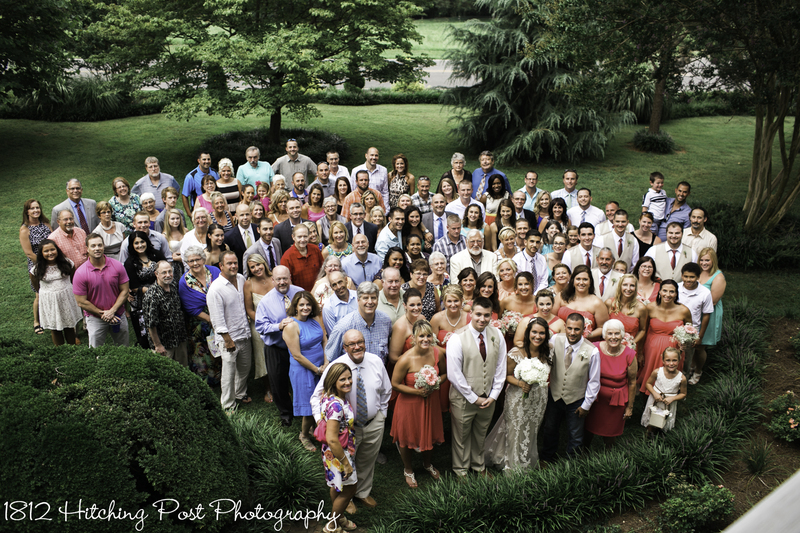 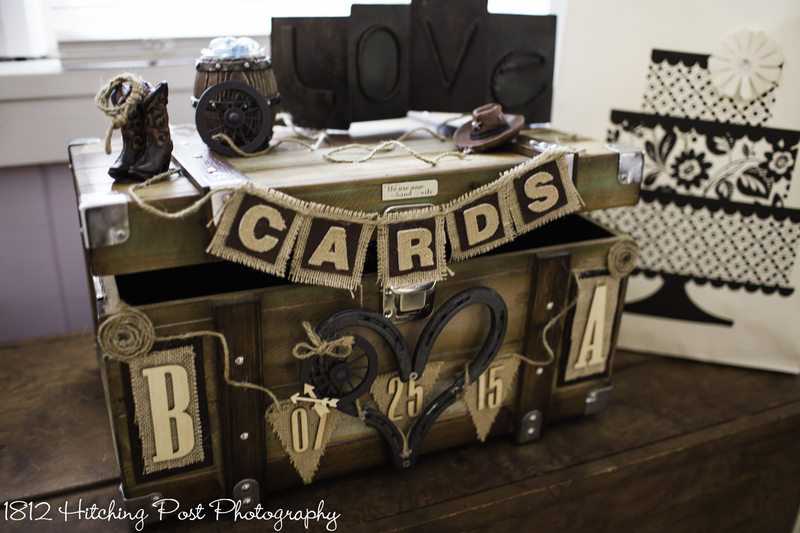 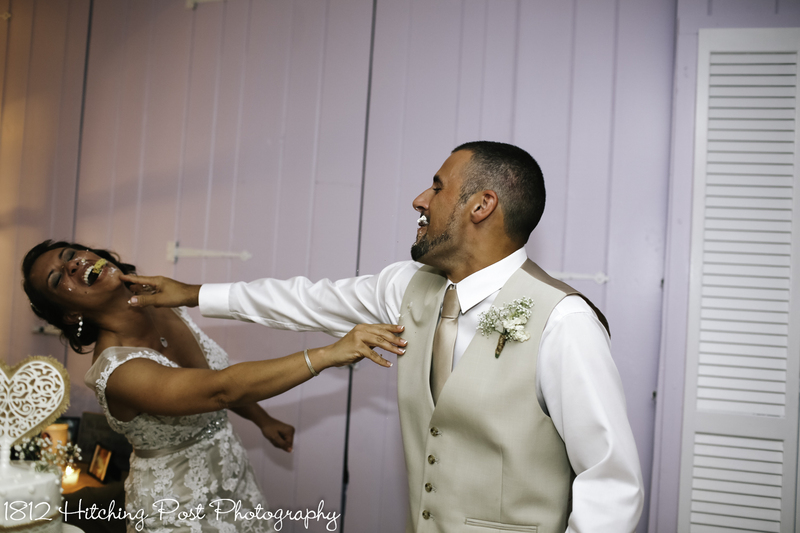 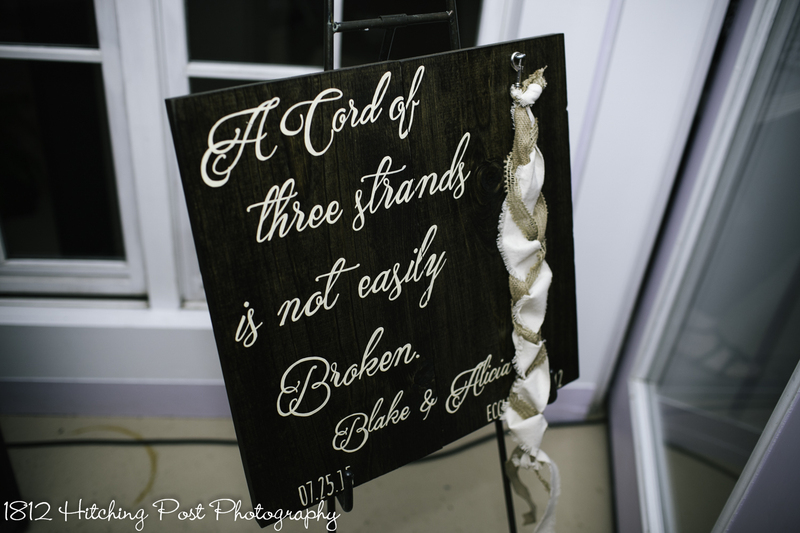 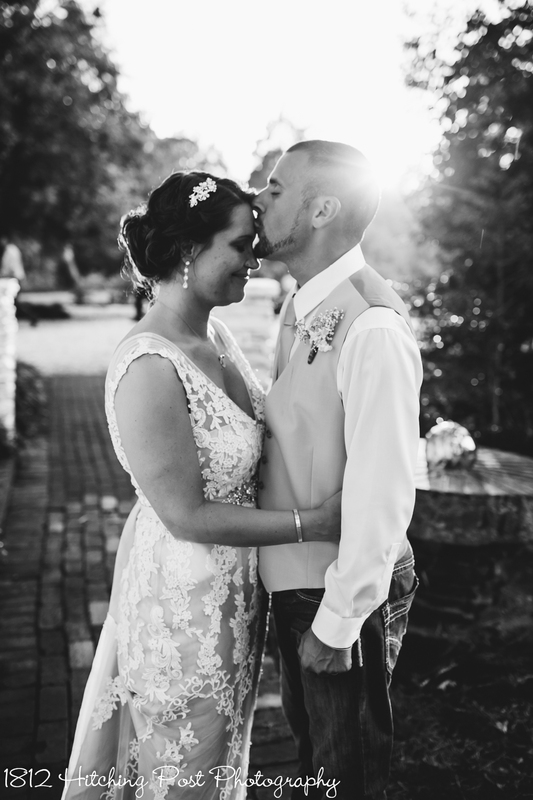 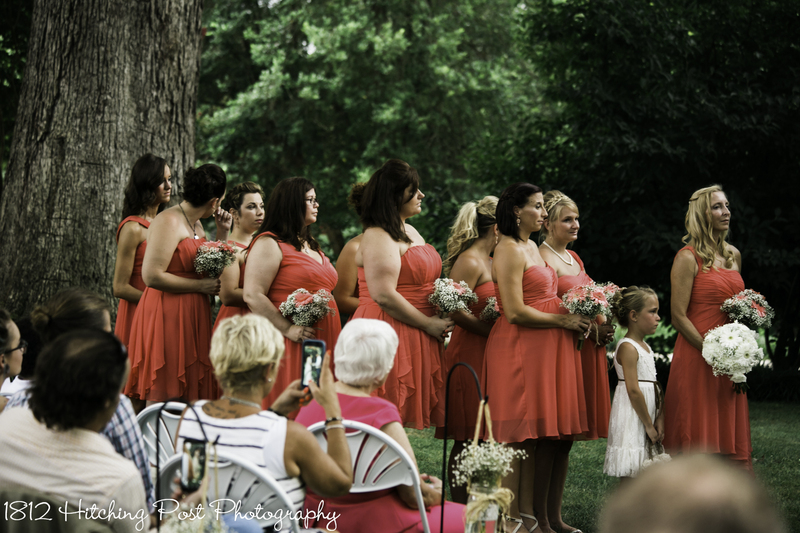 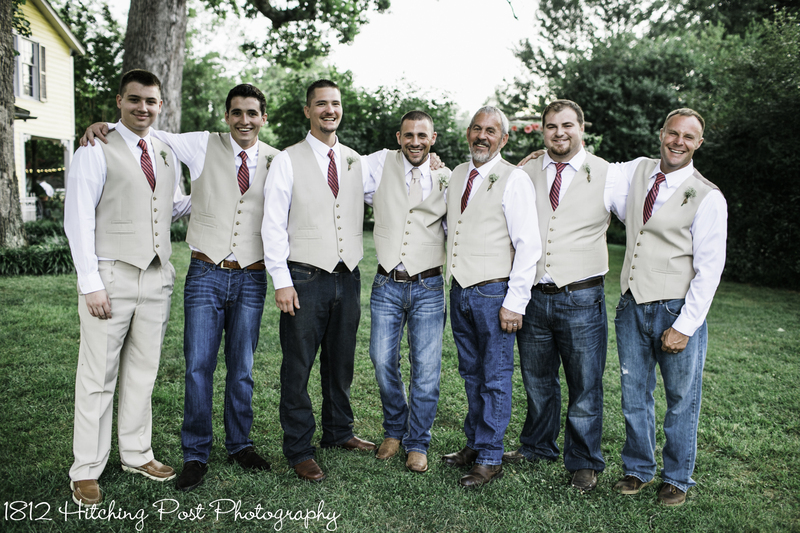 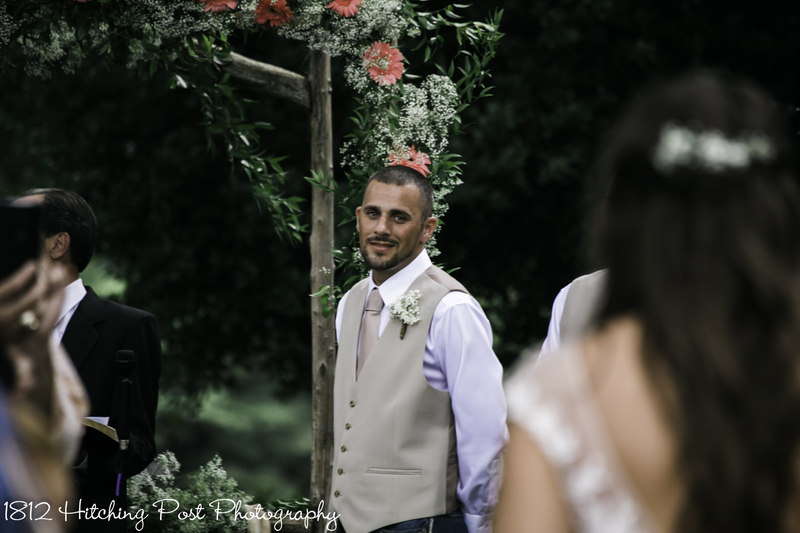 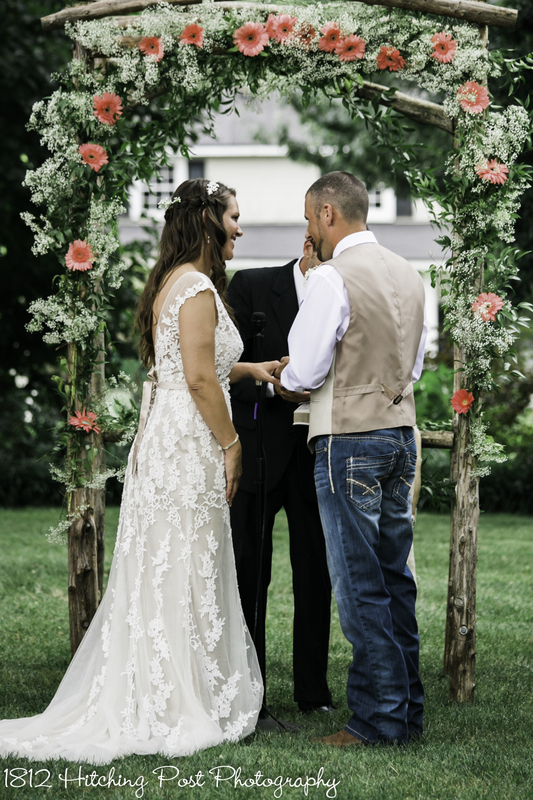 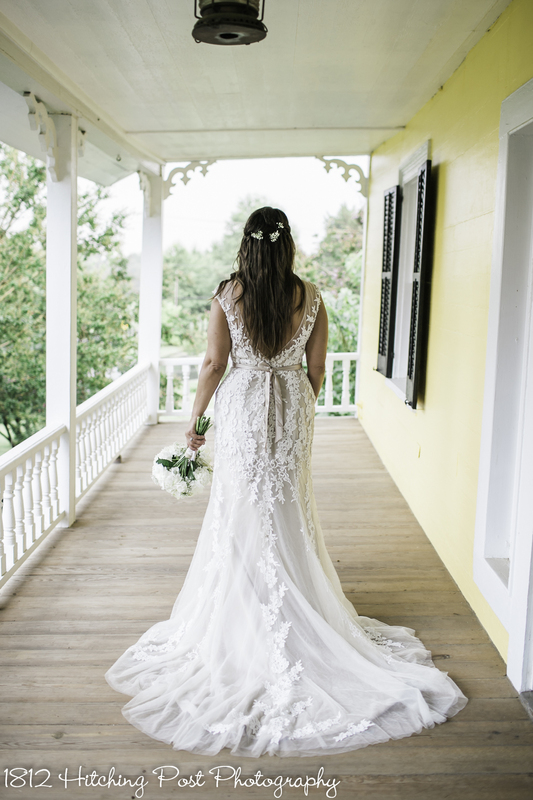 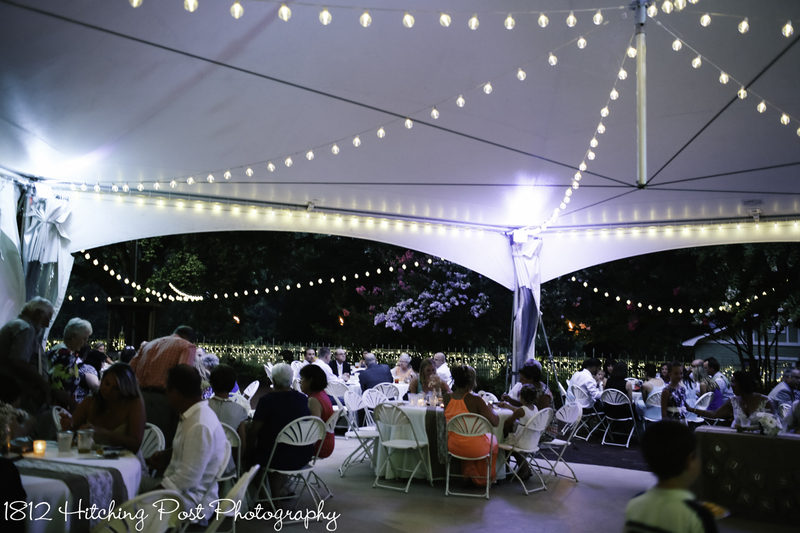 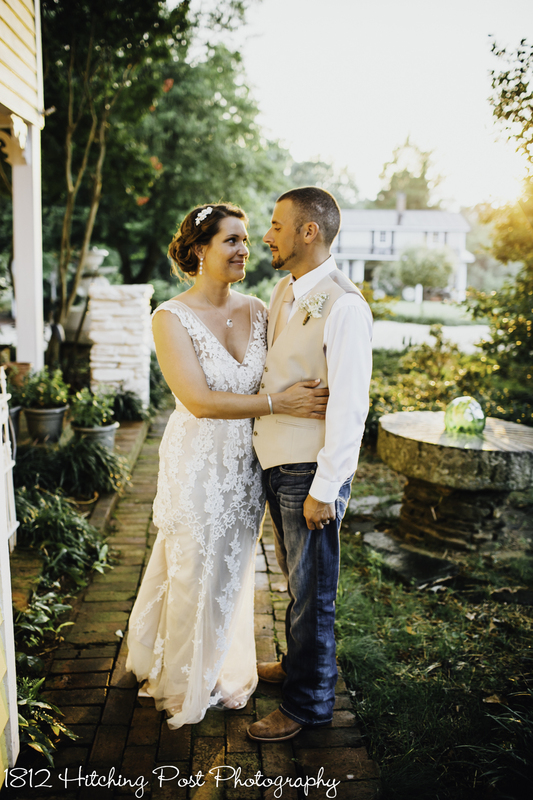 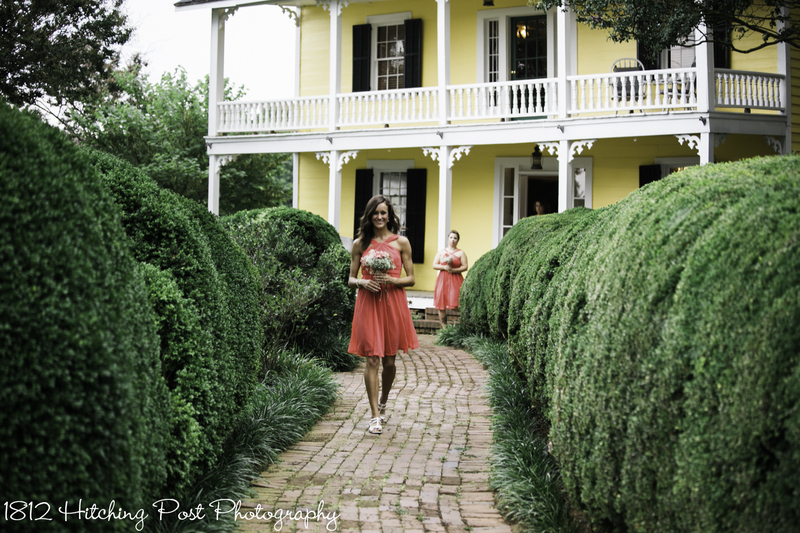 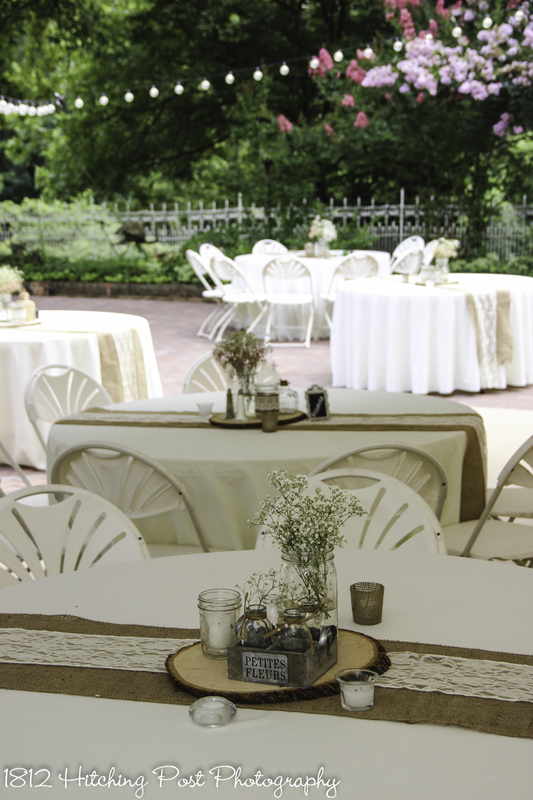 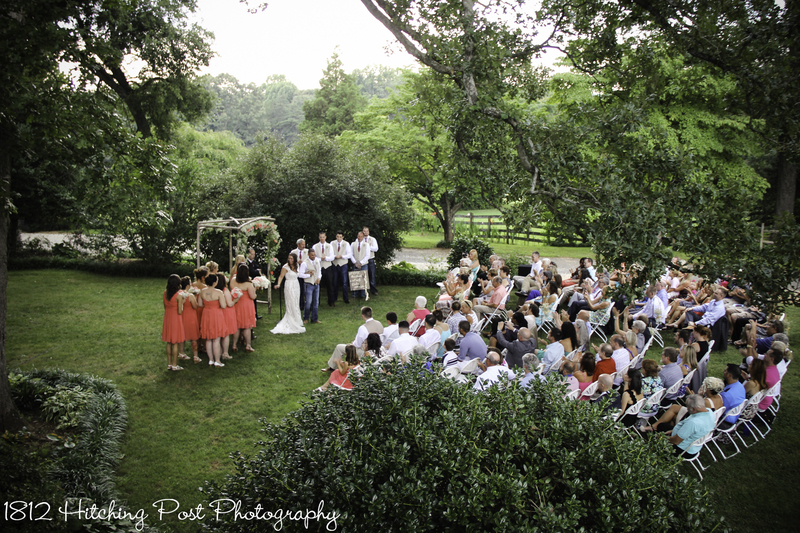 1812 Hitching Post is the perfect place for your wedding!